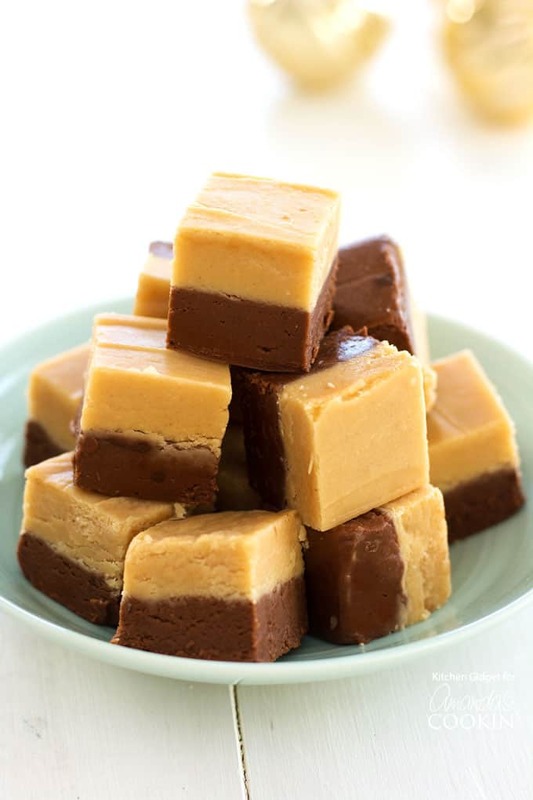 This chocolate peanut butter fudge is a nostalgic treat sure to delight! With two distinct layers of chocolate and peanut butter, this creamy confection is a wonderful holiday candy for gifting or snacking! 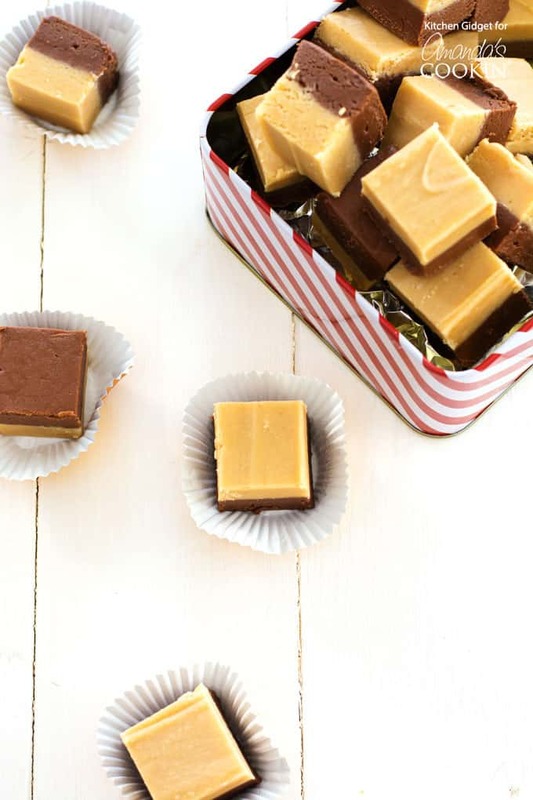 Everyone loves homemade fudge at the holidays, so be sure to make an extra batch of this recipe. 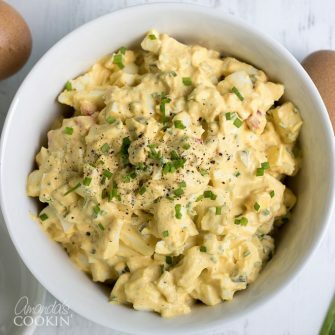 I am so excited to bring you this recipe! I probably say that every time I post a new recipe, but it’s true. How can you not be excited about the combination of chocolate and peanut butter? I have some dear memories related to this sweet confection. I grew up in the Midwest near some old-fashioned towns. Do you know the ones I’m talking about? Small little towns with a central road called “Main Street” that has been converted to tourism with little shops and pubs. We used to vacation near places like this, usually staying up in Wisconsin in a cabin in the woods. To break up the time, we’d head to town and there was always a fudge shop, which you could smell from blocks away. The copper vats of chocolate poured out on marble tables were absolutely mesmerizing – a child’s dream come true! Last year I was on an Alaskan cruise and what do you know? One of the towns we stopped in had a classic fudge shop. Although we are both adults, my sister and I (and mother!) went crazy over the flavors at the counter and walked out with six slabs of fudge. Nostalgia is priceless. The experience reminded me of my favorite flavor: chocolate peanut butter fudge. Every year during the holidays, my father would receive a gift basket from his realtor. It would be filled with homemade cookies, sweet treats and this fudge. I looked forward to it every year, along with grandma’s old-fashioned Butterhorn Cookies and stunning Red Velvet Cookies with cream cheese frosting. 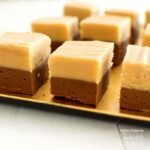 I particularly like this chocolate peanut butter fudge recipe because it’s two-toned. 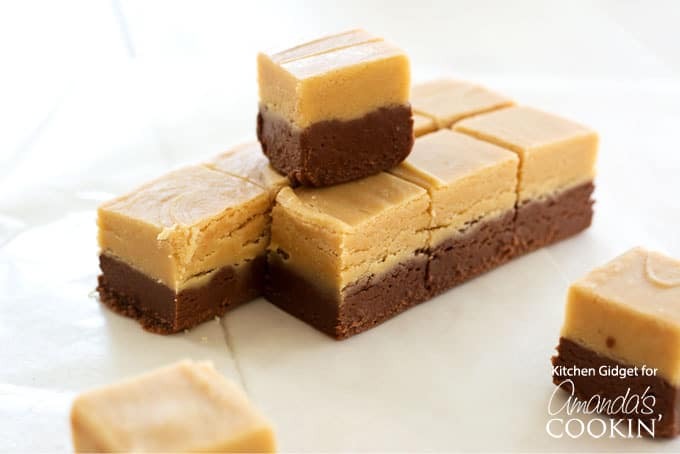 The layers of chocolate fudge and peanut butter fudge are like a double treat. The trick to getting fudge smooth and creamy is to properly cook it – too little and it won’t set up, too long and it will be dry and grainy. Luckily, the addition of marshmallow fluff is like a magic ingredient, helping to ensure that velvety texture. IMPORTANT TIP – When making candy of any kind, it’s imperative that you use a heavy bottomed saucepan and a candy thermometer. The temperature of a candy mixture can increase slowly and then suddenly surge up. Watch your thermometer carefully and remove pan from heat when the desired temperature is reached. If you absolutely can’t use a candy thermometer cook it for approximately 3-4 minutes after it starts boiling (over MEDIUM heat). The final product will be silky smooth. After cooling and cutting, set little squares out on trays for guests or package up and give as gifts! Candy and fudge and perfect for the holidays. Once the cooler weather starts to settle in, people tend to get excited about baking and making candy. 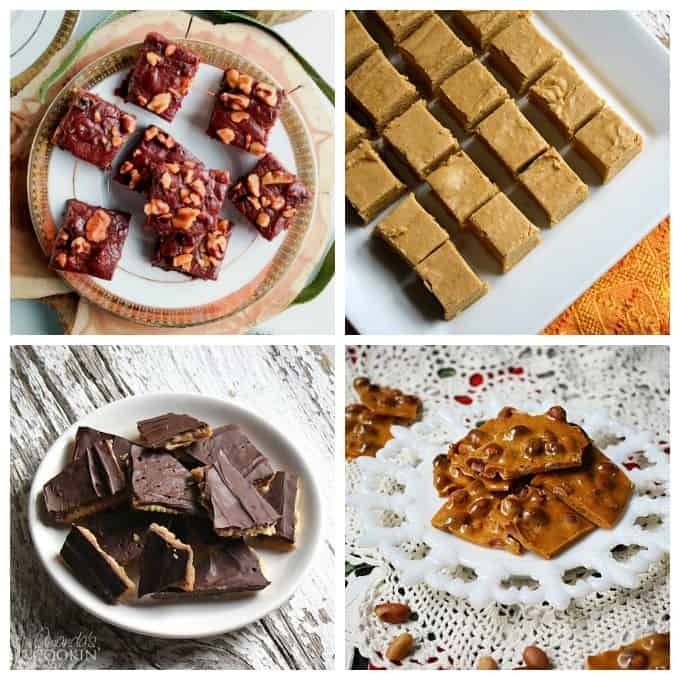 Here are several other candy recipes that are ideal for the Thanksgiving and Christmas holidays! If you are a fudge fan, this chocolate walnut fudge is positively delicious and makes a great edible gift. Pumpkin pie fanatics will adore this creamy pumpkin pie fudge, great for Thanksgiving! If you haven’t tried Saltine Toffee yet, it’s an absolute must! You won’t believe how good it is until you try it yourself. I’ve been making this homemade peanut brittle for over 20 years now. It’s a Christmas tradition in my family. This chocolate peanut butter fudge is a nostalgic treat sure to delight! With two layers of chocolate and peanut butter, this creamy confection is wonderful for gifting or snacking! Line an 8x8 or 9x9 pan with foil, letting the edges extend over the sides. Butter the foil and set aside. In a medium heavy bottom saucepan over medium heat, melt the sugar, butter and milk, stirring constantly. After the mixture begins to boil rapidly, cook for 2-4 minutes without stirring until a candy thermometer reads 234°F. Remove from heat and stir in chocolate, marshmallow fluff and vanilla, beating vigorously until combined. Pour into prepared pan, spreading into an even layer. Set aside and allow to cool at room temperature. In a medium heavy bottom saucepan over medium, melt the sugar, butter and milk, stirring constantly. After the mixture begins to boil rapidly, cook for 2-4 minutes without stirring until a candy thermometer reads 234°F. Remove from heat and stir in peanut butter, marshmallow fluff and vanilla, beating vigorously until combined. Pour over chocolate layer, spreading into an even layer. Set aside and allow to cool at room temperature. Cut into small squares and serve. Use clean, dry pots and utensils for each layer of fudge. For best texture, do not refrigerate fudge. IMPORTANT TIP - When making candy of any kind, it's imperative that you use a heavy bottomed saucepan and a candy thermometer. The temperature of a candy mixture can increase slowly and then suddenly surge up. Watch your thermometer carefully and remove pan from heat when the desired temperature is reached. If you doubled it you would need a pan larger than 9×13, so it would probably be better to just do two batches in two pans. I’ve never been able to make fudge before I found this recipe. My family loves it. So glad you liked it Desiree, thank you! I just thought of another question: is marshmallow fluff the same thing as marshmallow cream? Thanks! Yes they are the same, one is a brand name (Fluff) and one is not. Can I use milk chocolate chips instead of semisweet chips? This will be good, I’m sure! You should be able to. Please let us know how it turns out! Our holiday bake sale at work (to benefit local foster kids) had your fudge and it was a hot seller! I made this today and it was a complete failure. I followed the recipe, so i don’t know why it didn’t work. First issue i noticed was when cutting it, the pb half completely came apart from the chocolate. Not what i wanted, but not a huge deal. Then both of them started crumbling. I tasted both and was very disappointed. They were both grainy and not smooth. On top of that, the chocolate one didnt even hardly have any chocolate flavor to it. I thought when adding the chocolate it didn’t seem like much, but stuck to the recipe.Needless to say i wont be using this recipe again. I think her time is wrong! If you go three minutes it’ll be good. Also I stirred the whole or else it would burn on the bottom. She also doesn’t tell how high to have the burner, so I tried medium-high heat. That’s too bad she didn’t put that in there. This recipe isn’t written out well. It’s a shame that you wasted all that sugar and butter!!!! Thank you for the feedback Joyce. I have adjusted the recipe to reflect that the heat should be set to MEDIUM and that it’s important to use a candy thermometer during the cooking process. Thanks again for the feedback.